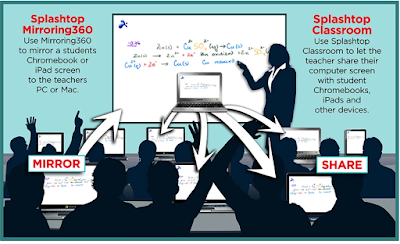 Mirroring360 Sender is a good application for teachers using Chromebooks with their students. It is also ideal for 1:1 or BYOD classrooms. 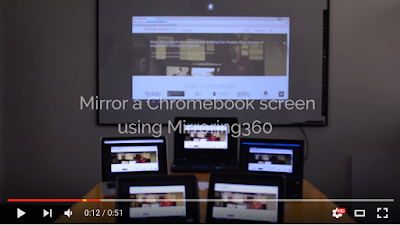 Mirroring360 allows you to mirror your Chromebook wirelessly to any computer (PC or Mac). The process is very easy: you simply add this extension to your Chrome browser then install Mirroring360 Receiver from their website and there you go. The app allows you to simultaneously share up to four Chromebooks. Although the Mirroring360 Sender says it’s free but you will need to purchase its sister app Receiver for $14.99. You can also use Mirror360 Sender to mirror your computer screen to another computer by simply installing it on the Chrome browser of the computer you want to mirror. Once the connection between the two devices is configured you can then start wirelessly and in realtime sharing files or multi-media content from one device to the other. Watch the video below to learn more about Mirroring360 Sender.